A Muslim Aid team donned their running shoes for a half marathon in Marrakech at the weekend to raise funds for Yemen which faces the world’s worst humanitarian crisis. Over 8,000 starters were greeted with good running conditions -- drizzle and low cloud -- on the 21-kilometer course that wound its way around the Moroccan capital. “It was a great atmosphere with so many charities participating for all sorts of causes. 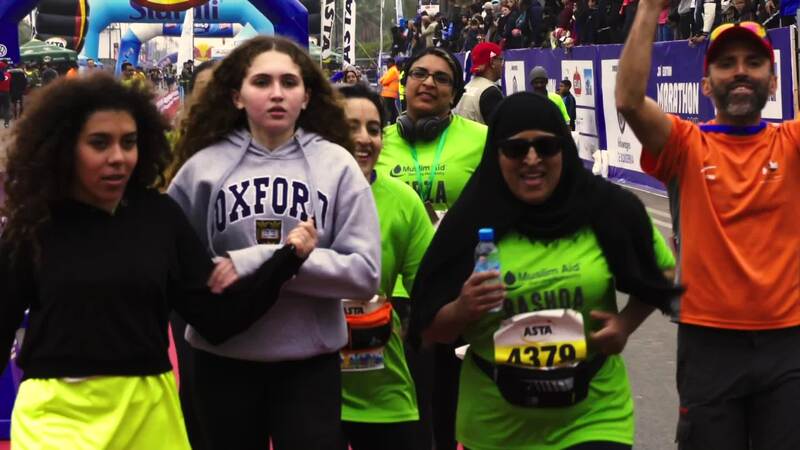 This was the first time ever I had ran since my school days,” said Rashda Mahmood of the 11-strong Muslim Aid contingent. “I was probably the eldest one in the team! I had done a little walking as training and felt a little nervous at the start! But the spectators that lined the streets spurred me on,” said Rashda, who teamed up with her sister and 22-year-old daughter, and is the organisation’s major gifts manager in London. The funds raised will go toward clean water provision and emergency food in Yemen, where some 17,000 people have been killed or injured in the three-year conflict. Some 22 million people, or 75% of the population, need emergency aid. Muslim Aid has been working through local partners since 2016 providing assistance. “The only time I really struggled was the last three kilometres. I thought my legs were about to give up. But once the finishing line loomed, I found more strength,” said Rashda. Muslim Aid staff will expend lots more energy (and calories!) on future runs to raise money for those in the greatest need. The annual London Marathon is on 21 April, and the Vitality Big Half Marathon, also in the capital, runs on 10 March. For more information on Muslim Aid’s work in Yemen, click here.